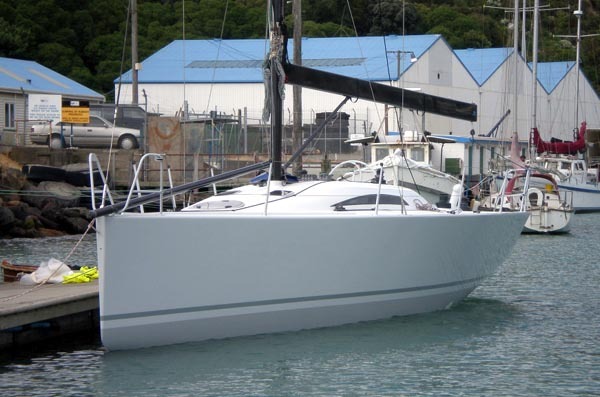 A serious IRC Cruiser/Racer built in New Zealand – custom quality with production costs. 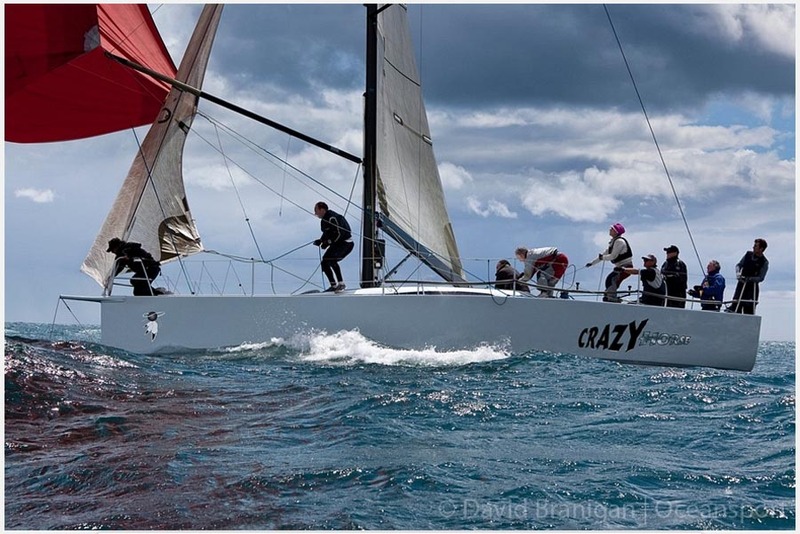 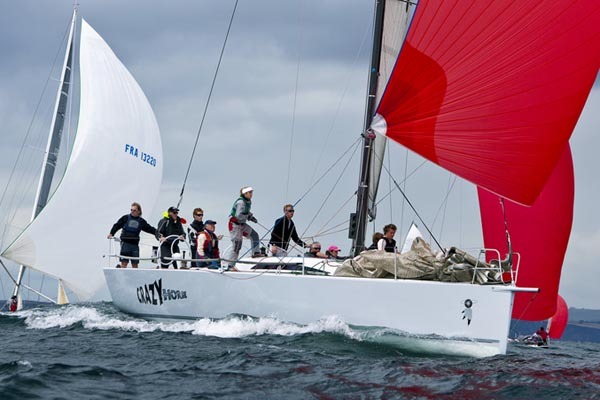 No Naked Flames (now ‘Crazy Horse’), the first of the semi-custom Sllim 37 IRC Cruiser/Racer, is a development of our highly successful IRC 39 Mariners Cove targeted at the small boat class in the 2008 Commodores Cup. 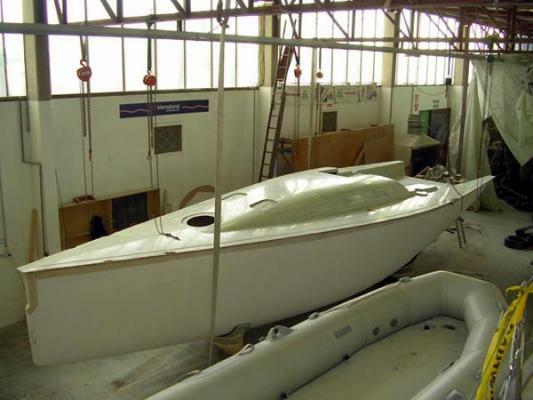 Extending our philosophy of true dual-purpose Cruiser/Racers the design has been optimised to be raced as efficiently as possible, without compromising dual-use features like the secure and comfortable cockpit layout we have refined over many designs, or the smart seamanlike interior which can sleep 10. 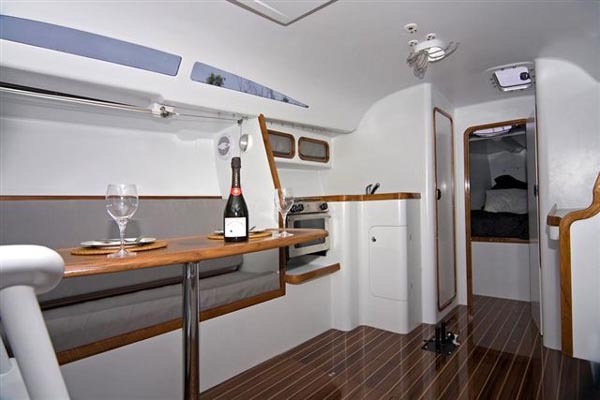 Although originally a custom project, due to the level of interest it evolved to become a semi-production build to allow the talented New Zealand builder Davie Norris to reduce costs for subsequent builds. 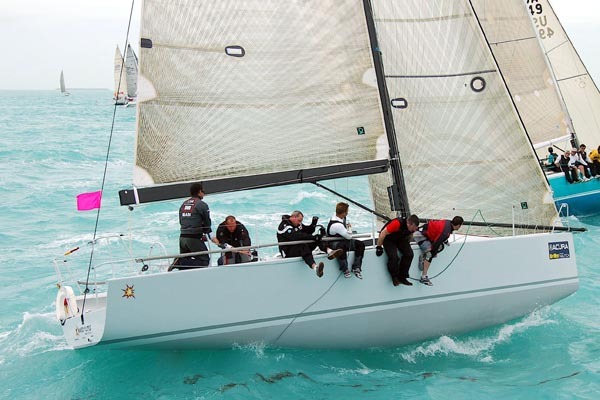 The glass/epoxy construction was engineered by High Modulus NZ, and the project was managed by Chris Main to ensure a high quality package on her Key West race Week 2008 debut.